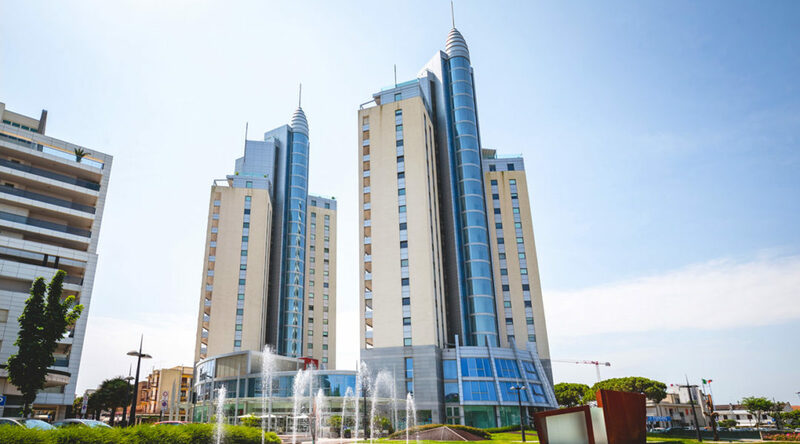 In recent years the Drago Square has become the heartbeat of life in Jesolo. Thanks to the wide-open green spaces, majestic fountains and pedestrian paths, this area has become an essential reference point for residents and visitors throughout the year. It is precisely from within this context that one of the most fascinating and admired features of Jesolo emerges: the “Torri di Piazza Drago” (“Towers of Piazza Drago”). 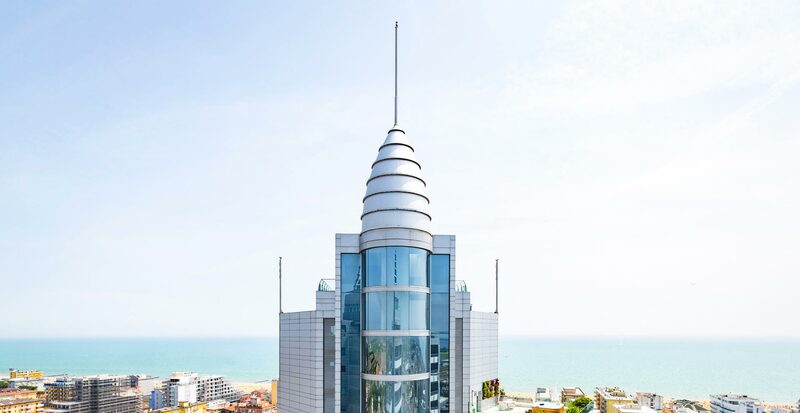 “Vivere le Torri” or “Tower Living” means being part of an elegant and exclusive environment, ideal for spending a day at the beach as well as for conducting business. And it is with this goal that the construction company Drago Real Estate LTD has built these two Towers, which offer residential apartments with ocean views as well as refined commercial offices. 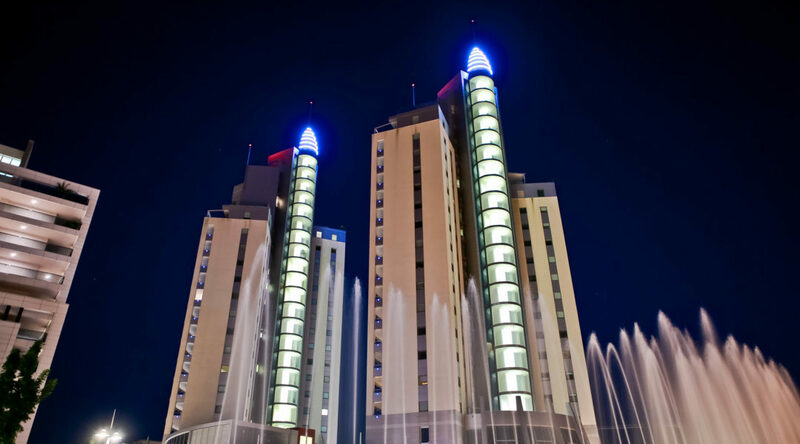 Like two heavenly bodies in the sky, the Towers of Piazza Drago stand out in the heart of Jesolo. The two buildings, with their elegant and slender shapes, rise towards the sky, seeming to touch it. For this reason, they were inaugurated with the names of the two brightest stars within the Great Bear constellation: Alioth and Mizar. The project is made even more brilliant by the choice of materials: glass, marble and aluminium. The message imparted by the transparency of the glass is directed towards the entrance of Jesolo, and is immediately observed by people upon entering the city. Marble, in Silver Star granite slabs, forms the base of each tower. Finally, aluminium covers the facades, which face upwards. As a result, white, silver and reflections of sunlight will be the elements of the day to create an experience of ever-changing perceptions. At night, the LED light designs will be perpetually illuminated to create the feeling of a continuous connection to the sky.